The tree is in the living room and in its proper stand. It’s funny because when we first built this big house on the pond…other neighbors built big houses around the pond, too. All of the houses had one thing in common…big open vaulted sunrooms with really high ceilings. If you could see the house you could see everyone’s big huge tree! We all put our trees in the sunroom which was open to the rest of the downstairs but if you were in the family room you really couldn’t see the tree. But…we did this for years…struggling with a huge tree and struggling to get it in its stand. My job was to try to hold it straight while Den tried to screw the huge bolts that held it…it seemed to take forever. Yesterday we found a lovely Fraser Fir…a beautifully shaped smaller version of the giant Fraser Fir we used to buy. 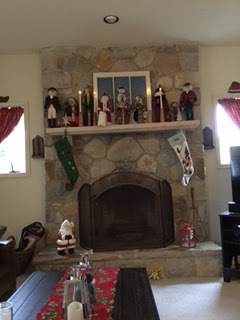 We put it in the middle of the living room where it will be stuffed with white lights and cherished ornaments. It took two minutes to pop it in the stand and we can see it from the family room. Today we are decorating it. Den is down there right now struggling over the lights but he loves it…I just know he does! Of all things not wintery I am totally engrossed in this book…it goes against my firm belief in seasonal reading but it’s so delightful I can’t put it down! Tree decorating…Christmas card writing…plus I connected with an old friend I used to teach with…it warmed my soul! I think we are staying in today. I like the sound of where you've put your tree this year. Perfect! It is always good to be able to see the tree and enjoy it. Thanks for sharing. I have a Shelley Noble book that I haven't read yet…need to do that! Mine is called Forever Beach. Sounds like a smaller tree is the perfect idea. Sounds like you've had a nice couple of days. Wr did the same thing this year! We went with a smaller tree and it's just as beautiful… every year I say this is the best tree ever, because I feel that way. Looks like a fun read– a warm summery, comfort read. Enjoy your decorating and your books that you're in the mood for. I really have…it's been so enjoyable! Thank you! You, too! I love the one I am reading! We've always put our tree in the family room because I want to enjoy it. I'm glad you're celebrating even though this Christmas will be different for you. We went with a smaller tree this year, too, and it's in the family room so we can enjoy it all the time. 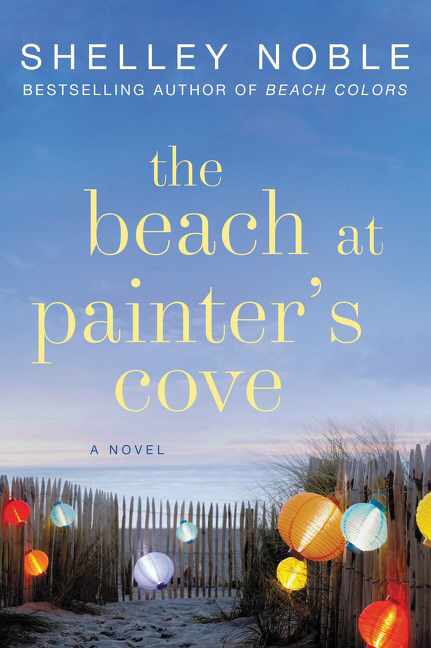 Just love the cover of Noble's book… every season should be beach season in my opinion! 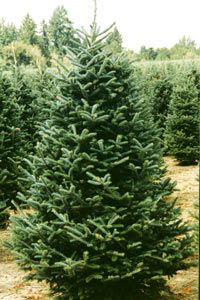 I love a Fraser Fir! We have a regular size tree in the living room and a table-top (fake) tree in the family room. It makes sense and everyone gets to enjoy them. I'm off to look up the Shelley Noble book – I like her books! I just finished it…it was good! It was actually nice to have a smaller tree…we stuffed it with only our old fashioned ornaments…some from here and some Den brought home from his travels! What a pretty tree. We haven't done the real tree thing yet. Maybe one day but our Target artificial makes us happy to see it every day. We can't have an artificial tree…our cat would eat it.